Major General Amos A. Fries was born in Wisconsin on March 17, 1873 and graduated from the United States Military Academy in 1898. He was instrumental as an engineer lieutenant fighting in the Philippines in 1901 under Captain (later General) John J. Pershing. General Fries organized America’s first gas service as part of the American Expeditionary Force in France in 1917, and directed its activities through the 1918 campaigns. In 1919, as a Brigadier General, he headed the Chemical Warfare Service, Overseas Division. Most of that division was organized as the First Gas Regiment (originally the 30th Engineers), which conducted extensive gas, smoke, and incendiary operations in the American sectors of the Western Front in World War I. Upon activation of the permanent Chemical Warfare Service on July 1, 1920, General Fries became its first peacetime Chief, remaining in that capacity until his retirement in 1929. As one of the founding fathers of the U.S. Army Chemical Corps, General Fries was the first Chemical officer to be inducted into the Ordnance Hall of Fame. Amos Alfred Fries was born on 17 March 1873 in Viroqua, Wisconsin. His family moved to Missouri, where an elementary school teacher who himself became a cadet encouraged him to attend West Point. The family then moved to Oregon, where Fries finished high school and taught in a country school until he entered the Academy. Seventh in the class, he went to the Engineers and spent the war years testing torpedoes at Willet’s Point, later called Fort Totten. In 1901, Fries traveled to the Philippines and did engineering work there. He returned to the U.S. and, as District Engineer for Southern California, planned and supervised the early construction of the Los Angeles harbor. At the time it was the largest artificial harbor in the world. Just prior to the First World War, Fries was the Engineer of Yellowstone National Park. 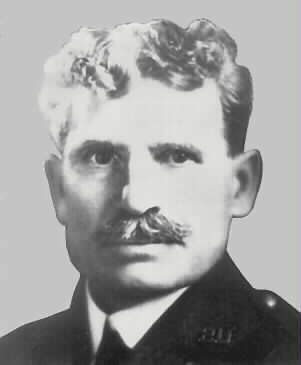 In France in 1917, Brigadier General Fries became an expert on gas warfare and thus began the Chemical Warfare Service, of which he became Chief. He received a Distinguished Service Medal for this service. General Fries retired from the Army in 1929. He was involved in many civic and fraternal organizations and even wrote two books on the threat of communism to the U.S. ("Communism Unmasked" and "Sugar-Coated Communism"). 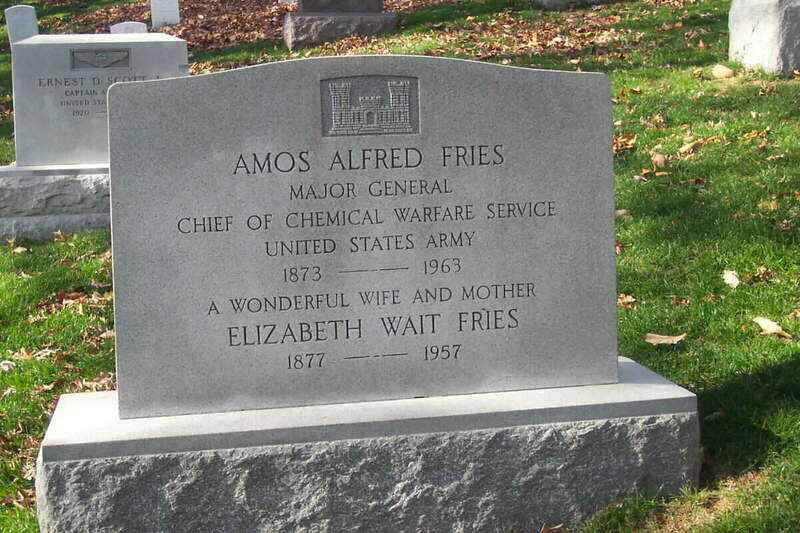 General Fries died on 30 December 1963 at age 90. He is buried in Arlington National Cemetery. His son and three grandsons were also graduates of West Point.